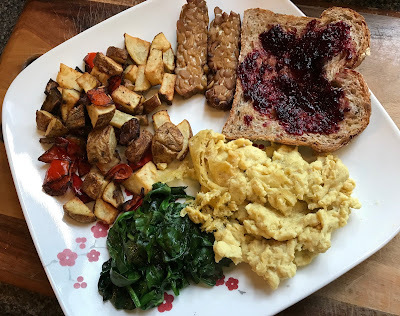 Home Lifestyle Health JUST Vegan Egg! The long-awaited JUST vegan egg is finally making its way to stores across the country! We finally got the liquid vegan egg mix at our Sprouts stores in Memphis a couple weeks ago, and I learned about it on Facebook. So of course, I immediately drove out to Sprouts after work, only to find an empty shelf where JUST Egg had been. Clearly, people are very excited. But last weekend, when I went grocery shopping, the JUST Egg was back in stock! I’ve been having fun with it ever since. 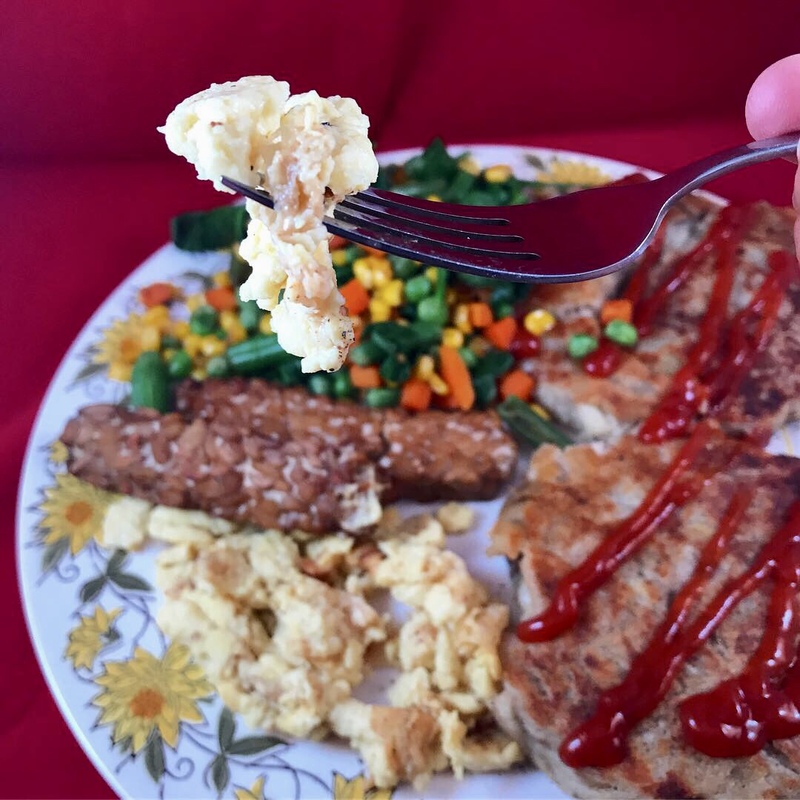 JUST Egg is a liquid made with mung bean protein isolate, and it cooks up just like scrambled eggs. Sure, it’s a highly processed food, which I try not to eat too often. But if I had to pick one non-vegan food that I miss the most, it’s eggs. 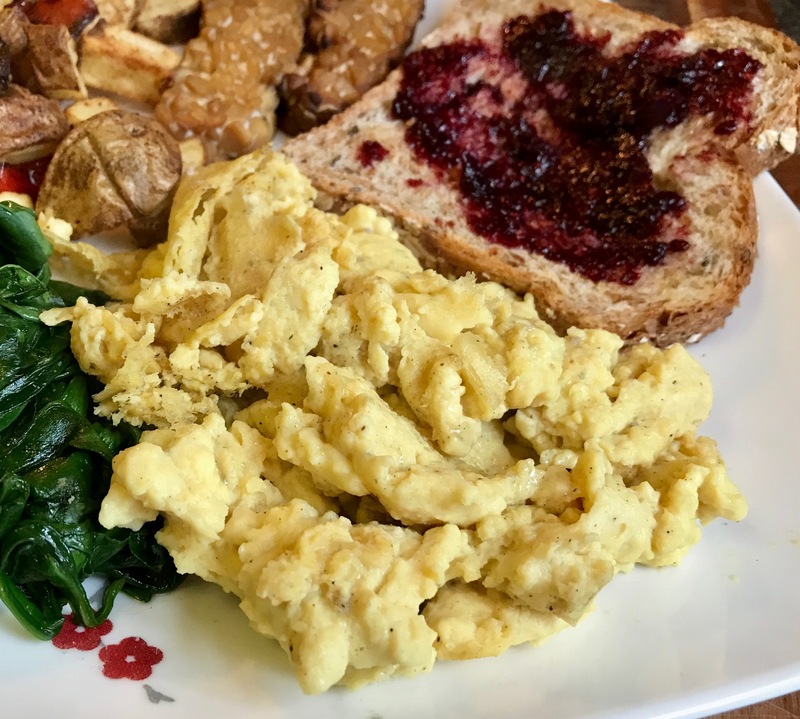 Tofu scramble is great most of the time, but it’s nice to have something that more closely mimics the texture and taste of eggs. I’m a big fan of Follow Your Heart Vegan Egg, which cooks up perfectly for fluffy vegan omelets. FYH did change their formula a bit, and it doesn’t taste quite as good as it used to. But I find it can be doctored up pretty easily with black salt and pepper. However, this new JUST Egg needs no doctoring. It tastes JUST LIKE EGGS (or at least how I remember eggs tasting … haven’t had an egg since 2004). And the texture is spot-on. The bottle says 3 Tbsp of JUST Egg equals one serving (or one egg), so that’s what I cooked for my breakfast burrito on my first try. But that cooked down to a teensy little serving, too small even for a burrito filling. A friend of mine, who has eaten eggs much more recently than me, pointed out that most people don’t just eat one egg as a serving. He suggested trying three servings of JUST Egg, so I did that for my brinner plate last night. And it was perfect! At $8-$9 a bottle, JUST Egg is certainly not economical. Using the 9 Tbsp. I used to get a decent portion took about half the bottle! But JUST Egg would be a great thing to have around as an occasional treat. They’d also be perfect in a recipe that calls for eggs in lesser amounts, like say a vegetable fried rice with a little scrambled egg. For omelets, I’ll stick to FYH Vegan Egg because it cooks up fluffier and is less likely to stick to the pan. I’m so glad vegans now have multiple options for vegan eggs!